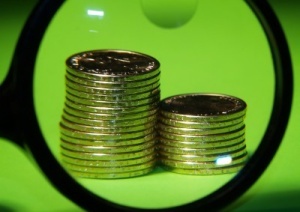 Today's coin collectors can find Collectable Coins in a variety of places. There is not one particular place that is best for finding collectible coins for your collection. It is usually just a matter of personal preference. Most collectors get their coins from several different sources. Pocket Change: The best place for the beginner to start finding coins is in your pocket change. Look through your coins before you spend them and set aside coins you find interesting. Valuable or rare coins are pretty scarce in pocket change today, but several series of coins still found in circulation offer the beginner a fun and interesting collection. The 50 State Quarters or the Presidential Dollars are a couple of examples. Coin Shops: Coin shops are another good place to find a new coin for your collection. Most coin shops have coin prices that will fit any budget. Most even have baskets of bargain coins that are very inexpensive. You won't find anything worth much in these bargain baskets but you will find some interesting coins for your collection. And don't forget that many coin shop owners are experts in their field, and may be willing to talk to you and give you some pointers if they are not too busy. Don't forget that they are in business to make a profit, therefore they cannot take time away from paying customers to answer a lot of newbie questions, but most are just like fishermen, they love to talk about their hobby when time permits. Coin Shows: Keep your eye out for coin shows in your area. Coin shows have the advantage of having many coin dealers all in one place. This might be a good place to compare different prices by different dealers or to hone up on your grading skills. Beware, however, that just because a dealer is at a coin show does not mean that he is a reputable dealer. Use caution and make sure your grading skills are up to par before making a major purchase. To find a coin show near you try this site. Internet and Mail Order Sales: There are many dealers that do business by mail or over the internet. Again, I urge you to use caution. Since you cannot see the coin that you are purchasing, you have no way of knowing if the coin you will receive will be the same as described. Do Not do business with anyone who does not provide a way to be contacted by phone. Search out the company on google and see what people are saying about their coins and service. Make sure they have a good return policy in case the coin is not what it was advertised to be. Always insist that the coins be sent to you by insured mail. If they don't insure their packages, don't do business with them as you will be out the money you spent if the item is lost. On that same note, don't accept a package that is damaged or appears to have been opened. Auctions: You can also get collectable coins at traditional Auction Houses, Mail Bid Sales, or Online Auctions. Coin Auctions offer several options to collectors who wish to participate. 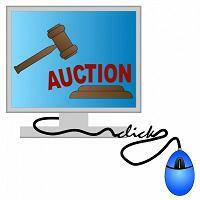 You can place your bids by phone or mail, you can attend a live auction in person, you can bid online, or you can pay someone to bid for you at an auction. You should study the terms and conditions of sale, return privileges and fees charged before you bid at auctions. You should also set a limit for your spending and make yourself stick to it. It is way too easy to catch the bidding bug during the excitement and you could end up spending more than you can afford or paying too much for a coin. I urge you to proceed with caution when purchasing collectable coins at auctions. Know the coin you are bidding on and what it is worth. Many coins, especially at online auctions such as eBay, sell for much more than they are worth, so do your homework before bidding. eBay or Yahoo! Auctions are popular online auctions that offer collectable coins. There are also online auctions that strictly deal in coins. If you are going to bid at online auctions, be sure to check the seller's feedback if using an auction service that provides it. Other Collectors: Sometimes you can get a coin you are looking for from another collector, but it's not easy to find someone who is selling what you are looking to buy. A couple of good places you might meet other collectors would be coin clubs and coin shows. You might occasionally find a good buy at one of these places, but again, be sure you have learned enough about grading to know a good deal when you see one or you could get ripped off. Other Places: You can purchase rolls of coins from your local bank. Although it is unlikely that you will find a rare or valuable coin, it has been known to happen. As you can see, it is not difficult to find collectable coins. The important thing to remember if you are purchasing coins for more than their face value is to know your coin and what it is worth.